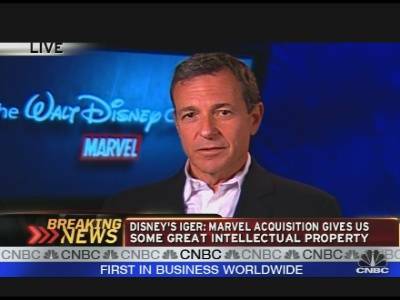 On August 31, 2009, The Walt Disney Company announced a surprise deal to acquire Marvel Entertainment for $4 billion in cash and stock. The deal allows Disney to take Marvel’s cast of characters across the different media platforms Disney has at their disposal; Iger told investors that Pixar was especially excited about the opportunities this acquisition could produce. Disney also noted that they plan to bring to the forefront many characters from the Marvel library that weren’t well known. When the deal was announced, the Marvel stock shot up 26%. Posted in Uncategorized and tagged 2000s, Acquisition, Business, Marvel, The Walt Disney Company. Bookmark the permalink. 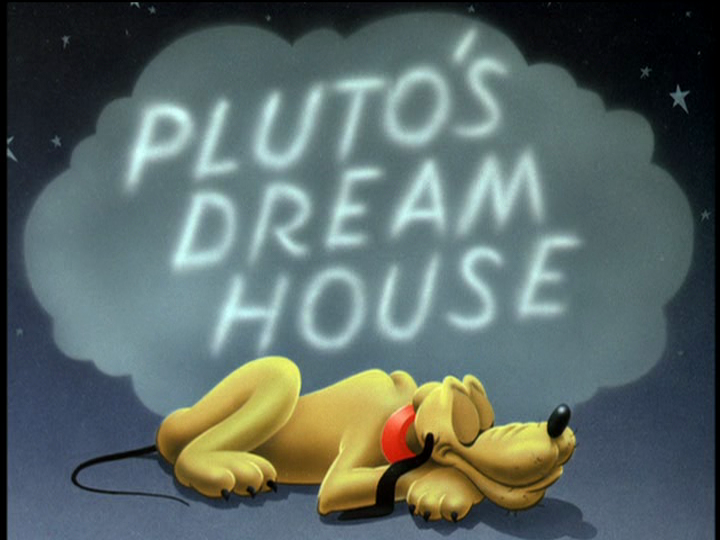 On August 30, 1940, the Mickey Mouse short film Pluto’s Dream House was released to theaters. This short is an example of dialect humor, which was a popular staple of entertainment in this time period, especially with radio programs. If one looks closely, you can see that Mickey and Pluto have been together a long time, as Pluto’s first doghouse was built in 1926 – two years before Steamboat Willie. The short was directed by Clyde Geronimi. In Mickey’s backyard, Mickey and Pluto are studying the blueprints for Pluto’s new streamlined doghouse. Pluto looks over at his old house, which is falling apart rapidly. Mickey and Pluto then excitedly begin building. As Pluto digs, several things are pulled from the ground, including a magic lamp, which starts talking after Mickey rubs in. The lamp, after scaring Pluto, lets Mickey know that he will grant any wish Mickey asks. Mickey then asks for a doghouse for Pluto. The lamp sputters and spins, and a burst of magic comes out of his spout, causing all the tools to start work on the doghouse by their own accord. 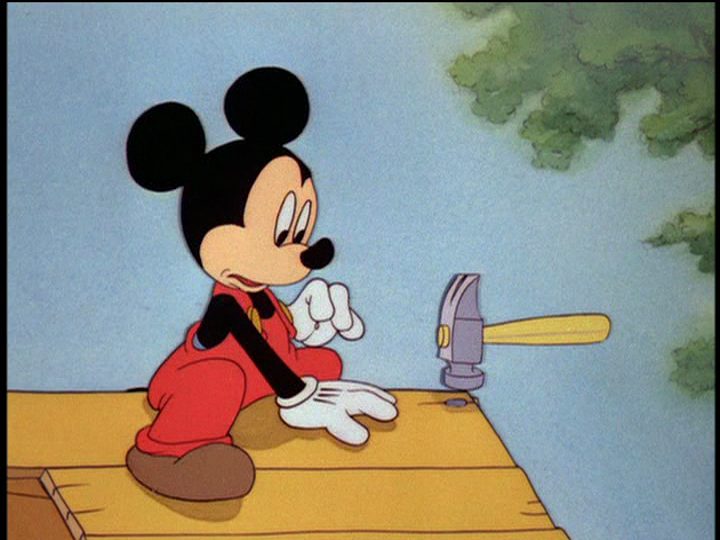 Mickey watches in astonishment as the house is made, and Pluto is attacked by the tools when he gets a little too close to their activities. Finally, the hosue is created, all tricked out with neon lishgts and a diamond encrusted fire hydrant. The lamp then gives Mickey the idea to wish that Pluto had a bath, and Pluto is sent flying into a tub of water. After a while, Pluto begins to enjoy the bath. Mickey then sits and relaxes in the living room, but has trouble finding something to listen to on the radio. As the lamp scrubs behind Pluto’s ears, Pluto ends up slammed against the wall, hitting it hard enough to knock the radio over and break it. The lamp interprets the sounds from the broken radio as commands from Mickey, and starts beating Pluto up. As Pluto is being tortured, the audience then realizes that this has all been Pluto’s dream. When Mickey tries to wake the whimpering Pluto, the dog howls with fright and leaps into Mickey’s bed. Mickey laughs at his pet’s behavior as Pluto clutches his master tightly. 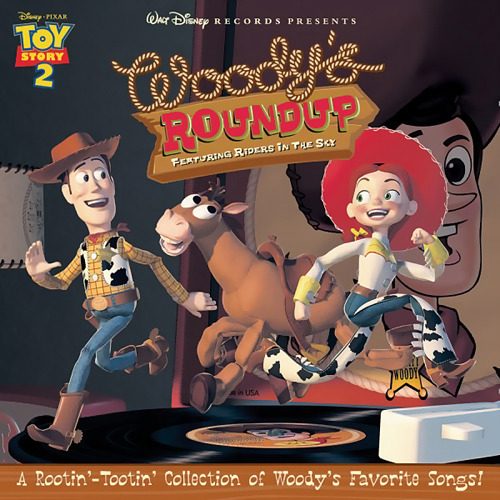 On August 29, 2000, the album Woody’s Roundup: A Rootin’ Tootin’ Collection of Woody’s Favorite Songs (also known as simply Woody’s Roundup) was released through Walt Disney Records. Inspired by the fictional television program Woody’s Roundup from Pixar’s Toy Story 2, the album is a collection of Western style songs performed by the band Riders in the Sky. The album won the Grammy Award for Best Musical Album for Children. Posted in Uncategorized and tagged 2000s, Grammy Award winning, Music, Pixar, Soundtrack. Bookmark the permalink. 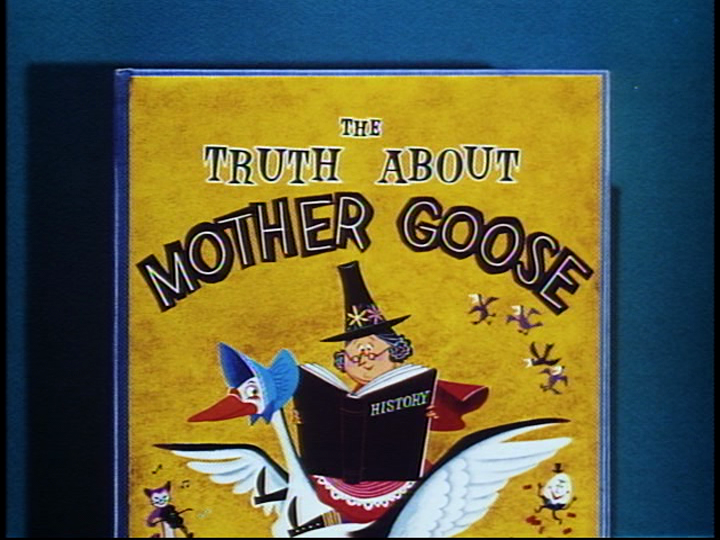 On August 28, 1957, the special short film The Truth About Mother Goose was released to theaters. It was nominated for an Academy Award, but lost to Warner Brothers’ Birds Anonymous. It was directed by Woolie Reitherman and Bill Justice, with story by Bill Peet. 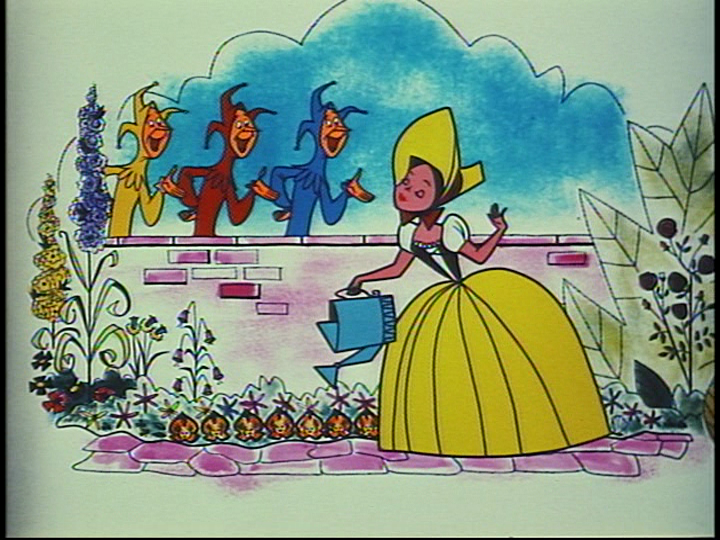 The short is narrated by three jesters and a voice-over narrator, with the jester singing their intention to give the history behind three popular nursery rhymes. They first begin with Little Jack Horner, which actually goes back to 16th century London. The real Jack Horner was the assistant to a city official, who was to deliver a Christmas present to Henry VIII. In this time period, in was a common practice to bake presents of great value into a pie. Knowing this, Jack pulled out from the pie a “plum,” which was a deed to a valuable estate. When Henry VIII found there was no gift, the city official was punished, and Jack ended up living in his stolen estate, although he may have been haunted by a popular rhyme that was gaining ground in London. The next rhyme, Mary Mary Quite Contrary, is actually about the life of Mary Stuart, also known as Mary, Queen of Scots. She came from France to take over the Scottish throne, which was frowned upon by the Scottish court. The “silver bells” refer to Mary’s elaborately decorated attire, the “cockle shells” were a reference to her love of exotic foods, and the “pretty maids all in a row” were Mary’s ladies in waiting. The narrator then tells the tragic tale of Mary, who married Lord Darnley four years after her arrival in Scotland. Her marriage was unhappy, and when Mary found other lovers in a French poet and a court musician, these men were dispatched. She fell in love with the Earl of Bothwell, and after Darnley’s murder, she and the Earl were married. The Scottish people, outraged at Mary’s behavior, forced her to abdicate the throne, and imprisoned her in Lochleven. After a few months, the jailer’s son helped Mary to escape, and she organized an army to gain back the throne in Scotland, but was defeated. She then fled to England to seek refuge with her cousin, Queen Elizabeth I. Elizabeth soon became jealous of Mary, and was accused of being a traitor to the government. She was then executed, “quite contrary” until the end. The last nursery rhyme discussed is London Bridge is Falling Down. Old London Bridge was built in 1176 to unite the two parts of London. It was finished in 1209, and a chapel was built over the central pier to sanctify it. Several beautiful buildings were also built on the bridge, and it was named a wonder of the world. Merchants would sell their wares on the lower floors of buildings on the bridge, with the upper stories of the buildings being sold as apartments. Celebrations of great moments in British history were also done on the bridge. Living on the bridge could also be hazardous, with the greatest hazard being fire; the worst fire was the Great Fire of London in 1666, when it broke out from the King’s bakery in Pudding Lane. The bridge would soon be rebuilt, but it never would return to its former glory. Its foundations were breaking from water and fire damage, and it was soon declared a public nuisance, ridiculed in rhyme. The bridge was given the declaration to be demolished on July 4, 1823. A new London Bridge would be built, which still stands today. Posted in Uncategorized and tagged 1950s, Academy Award Nominated, Color, Short film, Special. Bookmark the permalink. 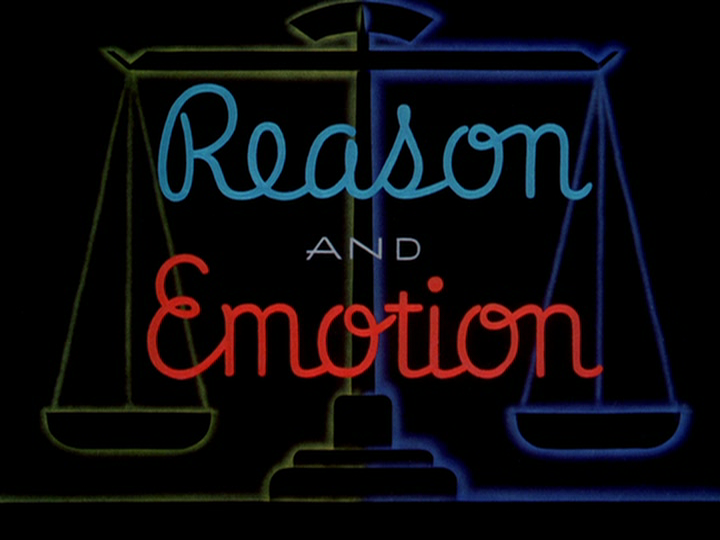 On August 27, 1943, the wartime short film Reason and Emotion was released to theaters. It was nominated for an Academy Award, but lost to The Yankee Doodle Mouse from Metro-Goldwyn-Mayer. The short was directed by Bill Roberts. The short begins with an explanation of how each person has two abilities: Reason and Emotion. From birth, Emotion is the more powerful of the two, as Reason isn’t born yet. A baby is seen acting on pure Emotion, until Reason arrives to stop Emotion. The baby grows up, and Reason is in the driver’s seat of the man’s mind. When the man passes by and attractive woman, Emotion knocks out Reason and acts crudely toward the woman, earning a slap in the face. The attention then turns to the woman who, when Emotion takes over her mind, decides to eat as much as she can at the nearby café, with her figure ballooning quickly. The attention then turns to the War, and how easily people can let their emotions get the best of them in such a stressful time. In the case of Mr. John Doakes, although he tries to keep himself informed of the current events, he is easily ruled by Emotion with all the rumors running around. The narrator then points out to Emotion that this is exactly what Hitler plays upon, using tactics of fear, sympathy, pride, and hate. The audience is then taken inside the mind of a Nazi, with Emotion completely manipulated by Hitler’s speeches. Although Reason knows better, Emotion enslaves Reason and leaves nothing but ruin in his wake. The narrator tells Reason and Emotion that they must work together to fight against all odds to defeat Hitler. 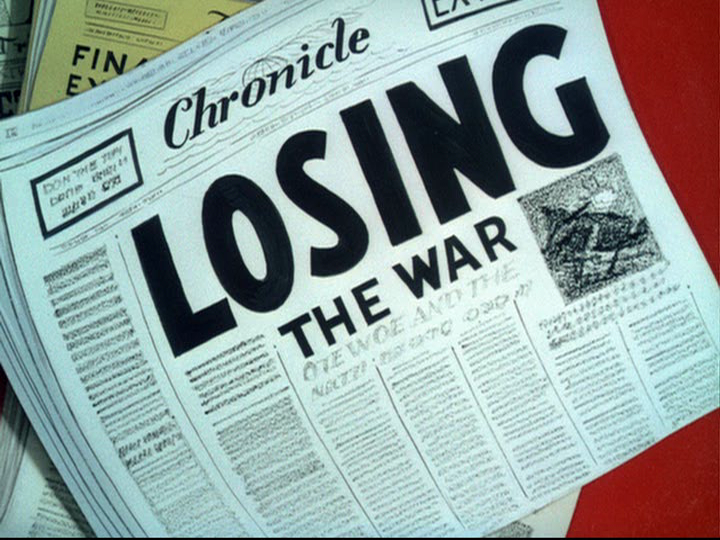 Posted in Uncategorized and tagged 1940s, Academy Award Nominated, Color, Short film, World War II. Bookmark the permalink. 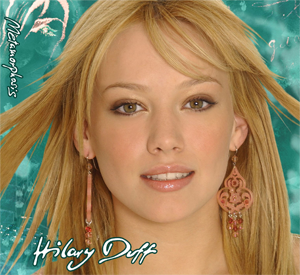 On August 26, 2003, Disney Channel star Hilary Duff released her debut album on Hollywood Records, titled Metamorphosis. Released shortly after leaving her hit show Lizzie McGuire, the album was a way for Duff to reach a more mature audience. At the time, Duff had embarked on a storm of projects as she tried to branch away from her Disney image, which included two feature films, clothing and accessory lines, and several marketing lines. The album was promoted heavily on MTV, especially her first single, “So Yesterday.” Three singles were released to promote the album: “So Yesterday,” “Come Clean,” and “Little Voice,” with the third single only being released in Australia. The album received mixed reviews from critics, as many considered it to be a gimmick for Duff rather than anything substantial. The album debuted at number 2 on the Billboard 200, selling 203,000 copies in its first week of release; it then peaked at number 1 the next week, despite a drop in sales to 131,000 copies. The album eventually sold 5 million copies worldwide. The success of the album gave Hollywood Records a needed boost in its industry and corporate profile, and helped pave the way for other Disney Channel stars releasing albums, as well as launching brands of Hannah Montana and High School Musical. Posted in Uncategorized and tagged 2000s, Album, Disney Channel, Hollywood Records, Popularity, Women. Bookmark the permalink. 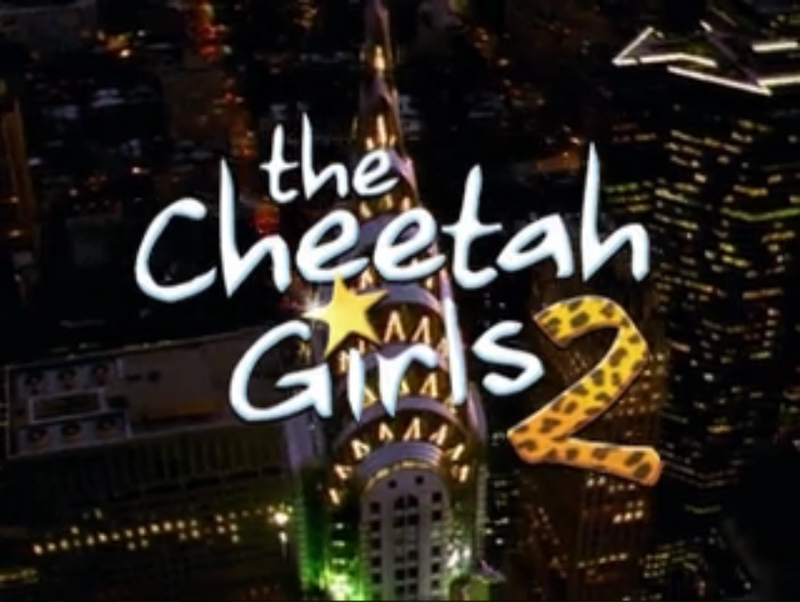 On August 25, 2006, the Disney Channel Original Movie The Cheetah Girls 2 premiered. The sequel to the hit 2003 film, it received the highest ratings of a Disney Channel Original Movie at the time with over 8 million viewers; it is now known as the highest rated gilm in the Cheetah Girls trilogy. The trilogy was based on the teen book series by Deborah Gregory. The film was written by Gregory and Alison Taylor, and was directed by Kenny Ortega. It stars Raven-Symone as Galleria, Adrienne Bailon as Chanel, Sarina Bryan as Dorinda, and Kiely Willaims as Aquanette. 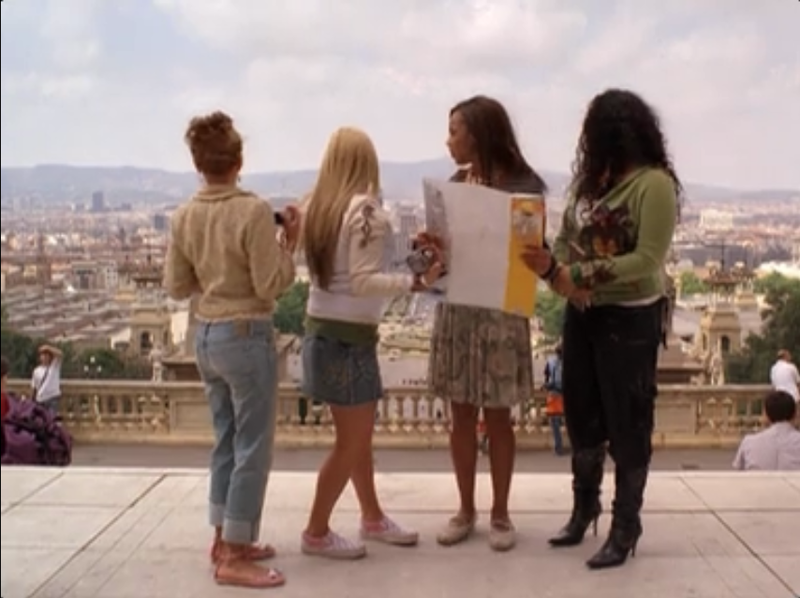 The film begins with the Cheetah Girls performing at a graduation ceremony. The girls are excited about their upcoming summer vacation, although Galleria is obsessed with keeping the group busy practicing and trying to meet producers. Chanel vents to Galleria about her mother Juanita taking her to Barcelona to meet Juanita’s boyfriend, Luc. Chanel dislikes her mother’s relationship, and admits that she is scared that she will have to move to Spain should her mother marry Luc. Galleria promises that nothing will split the friends apart, and pushes Chanel to ask Juanita to bring the Cheetah Girls with her. After Juanita nixes the idea, the two girls head to Galleria’s for a sleepover and Chinese food with the other members of the group. As they talk, Aquanette spots a shooting star, and the girls make a wish to go to Barcelona. As they do, a passing breeze opens the pages of a magazine to an ad for a music festival in Barcelona. Galleria spots the ad, and the group decides to enter the competition. Although they have missed the deadline by a week, the contest is impressed with their singing and allows them to enter. After they convince Juanita and Dorothea to let the girls go, everyone is on a plane to Spain. Aquanette is obsessed with the culture and the history, but the other girls decide to go shopping first. After a long day, the girls settle at a cafe, where they hear the sounds of a guitar. They see a gorgeous man playing guitar, and he stars serenading the girls, and they start singing along with his playing while dancing down the Barcelona streets. Galleria and the guitar player, named Angel, share a connection before Galleria runs off to join the girls. Later, the girls arrive at Luc’s villa, and Chanel immediately becomes sour. Luc tries to win Chanel over, welcoming the girls warmly, but Chanel thinks that Luc is too perfect. Galleria tries to comfort Chanel, but Chanel is still worried about being split from her friends. Luc informs the girls that he has asked one of his associates to travel around with the girls as a guide, but Chanel brushes his assistance off again, wanting nothing to do with him. The girls then head to the festival headquarters, and are surprised when they are asked to properly audition by the director. The girls sing, but are quickly cut off by the director. However, they are surprised to find that they have been accepted into the New Voices competition. As the girls relax, Galleria interrupts the others for rehearsal, but they are all interrupted by the arrival of Luc’s associate, Joaquin. Joaquin quickly takes to Dorinda, and Dorinda is impressed to find that Joaquin is a dancer. While Galleria and Aquanette go shopping with Dorothea, they run into her old colleague, Randolph Hunter, who is working with his wife, designer Aramet. Meanwhile, Dorinda heads to Joaquin’s studio, where he teaches her how to tango. Afterwards, as Dorinda rushes off to rehearsal, Joaquin asks her to a beach party, but she turns him down, as she has to practice for the festival. Later that evening, the girls head to The Dancing Cat, a club downtown, where they see a performance by Marisol, a competitor in the New Voices competition, and a favorite in the competition. The girls are intimidated by Marisol, but are soon distracted by Angel when he appears on stage to play a Spanish lullaby that Chanel and Belinda sing as a duet before the other girls harmonize. After they sing, Belinda’s mother Lola greets the girls, and introduces herself as Marisol’s manager. Lola wins the girls’ affections, but secretly plans to break up the Cheetah Girls to give Marisol a better chance to win, especially if she sings in a duo with Chanel. Dorothea is suspicious of Lola’s actions, but the girls reassure her that there’s nothing strange going on. The girls then head to the beach party, and the girls split up to different parts of the party. Galleria, however, is disappointed that the girls don’t want to rehearse for the competition. Juanita and Dorothea vent over tea about their problems: Dorothea about Lola, and Juanita about Luc. Galleria tries to bring everyone back to rehearsal, but the girls once again have other things to do. Dorinda’s relationship with Joaquin hits a snag when Dorinda decides that they’re from two different worlds and their relationship won’t work. Feeling that she’s the only one that is taking the contest seriously, Galleria decides to head home. As she heads to the train station to meet her dad in Paris, the girls meet her there, having realized that they have been too distracted from their main ambition. The girls sing the song that Galleria wrote for the contest, but Galleria only agrees to come back with them if they agree to become serious about the contest. As the girls reunite, Lola panics and comes up with another plan to break up the Cheetah Girls. Juanita has troubles of her own, as she believes that Luc won’t propose because Chanel doesn’t like Luc. Chanel quickly goes to apologize to Luc, giving him her blessing to propose to Juanita. Luc then proposes, and Juanita happily accepts. Dorinda and Joaquin then patch up their relationship, and the girls then set to work practicing their routine for the competition. The girls then perform at the Dancing Cat to a cheering crowd, much to Lola’s annoyance. She then convinces the owner of the club to give the girls money for their performance, which counts them out of the contest, as the New Voices competition is only for amateurs. Lola then tries to get Marisol to sing with the girls, and when the girls refuse, Chanel is then convinced to sing with Marisol. Although the girls are disappointed, they are cheered when Luc announces his intentions to move to New York with Juanita and Chanel after the wedding. The director then lets the girls know that a reliable source tipped him off that Lola had the girls paid for their performance, and the girls are surprised to find that the source is none other than Angel. The Cheetah Girls are allowed to perform, and Marisol refuses to play her mother’s game anymore dropping out of the competition. The Cheetah Girls perform in the competition, singing the new song that Galleria wrote, with Angel accompanying them on guitar. The girls win the crowd over, especially when they introduce Marisol as part of their act in an act of friendship. Joaquin and his friends then join the Cheetah Girls as dancers, and the competition ends as a dance party. Posted in Uncategorized and tagged 2000s, Disney Channel, Disney Channel Original Movie, Sequel, Television. Bookmark the permalink.